My name is Lisa Cagle and I will be a second year law student at Cumberland School of Law in Birmingham, Alabama. While I am originally from North Dakota, I am excited to be living in Alabama and enjoying the warm weather year round. I may not have been born here, but I got here as fast as I could. My background is not your typical law student background. I have a Bachelor’s of Science in Chemical Engineering from UCLA. However, life had other plans for me, and I became a teacher in 2008. During my first year teaching, I read an inspirational book by Wes Stafford titled Too Small To Ignore that changed the way I viewed teaching. In this book, Stafford stresses the importance of focusing on children and their unique needs and not waiting until a person has reached adulthood to begin to consider them a quality member of society. Shortly after that, I met my first child with autism spectrum disorder (ASD). Finding unique ways to teach that child was an amazing experience for me. As a result, I spent many of my continuing education hours learning about special needs and how to design a classroom setting and modify my teaching style to accommodate children with special needs. Over the course of eight years of teaching, I had the privilege to work with several children with varying needs and the honor to help educate families on special needs and the accommodations and therapies available to help these children learn and thrive in a structured school environment. After several years of working with children and families, I decided to go to law school to enable me to continue to work with families in ways that I was unable to as a teacher. I desire to do more than recommend other resources and professionals to families in need. I would like to be one of the resources and professionals that a family can turn to. This is also one of the reasons why I am excited to intern at Alabama Appleseed this summer. Appleseed has a reputation for creating change to better the lives of people in Alabama and I am excited to be a part of this. My project this summer will be the school to prison pipeline. According to the American Bar Association (ABA), the school to prison pipeline is the metaphor for the student disciplinary issues at school that result in students leaving school and entering the criminal justice system. The ABA has done research to discover that a disproportionate number of minority students and students with special needs are dismissed from school, resulting in a disproportionate number of minority students and students with special needs in the criminal justice system. As a former teacher, this issue is near and dear to my heart. I have received training on ways to help children with special needs adjust to a classroom setting and believe that all children deserve a chance for a quality education, not just the ones who have the ability to conform to a “typical classroom setting.” I am honored and thrilled to working as an intern for Alabama Appleseed and am looking forward to continuing Appleseed’s work this summer. Alabama Appleseed is a non-profit, non-partisan 501(c)(3) organization founded in 1999 whose mission is to achieve justice and equity for all Alabamians. 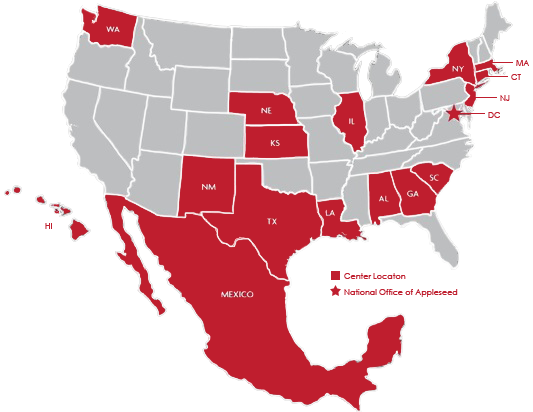 Alabama Appleseed is a member of the national Appleseed Network, which includes 17 Appleseed Centers across the U.S. and in Mexico City. SB16 & HB32 prohibit a judge from overriding a jury’s recommendation and imposing a death sentence in cases where the jury voted for life without parole in a capital case. Prior to this legislation, a judge was not required to accept a jury’s vote in the sentencing phase. Alabama Appleseed supported this legislation because it will help protect against arbitrary and unreliable death sentences. SB 284 would have extended the loan period to 30 days for payday loans at the existing fee, limited borrowers to four loans in a 12-month period, mandated a seven-day “cooling-off” period between payday loans, automatically converted unpaid loans to a three-month installment loan with equal payments, capped interest rates for all loans of more than $2,000 at 60 percent APR, and removed auto title loans from the Alabama Pawnshop Act. Alabama Appleseed supported this bill because it would have begun the process of reining in predatory lenders. HB 321 would have proposed an amendment to the Constitution of Alabama capping the maximum interest rate a lender may charge an individual on a consumer loan, line of credit, or other financial product at 36 percent per year. Alabama Appleseed supported this bill because it would have brought Alabama in line with 15 other states and the District of Columbia that have either capped their interest rate at 36 percent or outlawed payday loans altogether. HB 269 would have made possession of one ounce or less of marijuana a fine only offense ($250/first offense & $500/subsequent offenses). A conviction for possession of one ounce or less of marijuana would not have appeared on the individual’s criminal record. Alabama Appleseed supported this legislation because it would have reduced the likelihood that Alabamians possessing small amounts of marijuana would be funneled into our criminal justice system and reduced the disproportionate harm that the war on marijuana has on communities of color. SB 200 would have prohibited a state or local government employer from asking an applicant about their criminal history until a conditional offer of employment was made. The government employer would have been permitted to withdraw the job offer if the applicant’s criminal conviction was directly related to the job. The bill would also have established clear criteria for state agencies to consider during the screening process. Alabama Appleseed supported this legislation because it would have enhanced public safety, begun to remedy the long-term consequences of a criminal justice system that has disproportionately harmed African Americans, and given many Alabamians a second chance. SB 299 would have mandated any agency that takes property or receives proceeds under Alabama’s civil asset forfeiture program to annually report this information to the Attorney General, who would then make this information available to the public. Alabama Appleseed supported this legislation because it would have brought needed sunlight to a program that incentivises policing for profit and disproportionately harms individuals who cannot afford an attorney. HB 314 amends the Alabama Small Loan Act to authorize licensed lenders to make loans up to $1500 (previously $1,000), increases non-refundable fees, and extends the loan term to 18 months. Alabama Appleseed opposed this legislation because it will increase the cost of loans for borrowers by as much as 174 percent. SB 187 sets a 365‐day time limit to file a Rule 32 petition challenging an individual’s capital conviction and requires this time to run concurrently with the direct appeal. It also requires the appointment of counsel for indigent individuals for purposes of the post-conviction appeal and sets a $7,500 cap for total fees. Alabama Appleseed opposed this bill because it will further undermine the fairness and accuracy of Alabama’s death penalty process. HB 535 would have converted the loan of a borrower who was unable to repay the loan to a 60-day loan at no additional fee, but would have limited this to one 60-day extension per year. The bill would also have created a cap of 22 payday loans per year and would have created a 48 hour cooling off period after a loan was paid in full. Alabama Appleseed opposed this bill because it would have failed to address any of the core problems plaguing the payday loan industry, including a permissible 456 percent interest rate. SB 59 & SB 302 would have authorized the construction of up to four new prisons at a cost, funded via bonds, of nearly one billion dollars. Alabama Appleseed opposed these bills because they failed to address the underlying problems that fuel Alabama’s high incarceration rate. Any solution to Alabama’s prison overcrowding must focus on the root issues – ending the drug war, prioritizing substance & mental health treatment, removing hurdles to reentry, and expanding alternatives to incarceration. My name is Ellen, and I am looking forward to being an intern this summer with Alabama Appleseed! I just completed my first year of law school at Cumberland School of Law in Birmingham, Alabama. I grew up in the Nashville, Tennessee area, and I graduated from college at the University of Tennessee in Knoxville, Tennessee. Before coming to law school, I worked for nonprofit organizations providing educational resources to immigrant and low-income communities. I was an AmeriCorps member in Arlington, Virginia with the Arlington Education and Employment Program, where I taught English as a Second Language to adult immigrants from a multitude of countries and of a variety of ages. After that, I was an AmeriCorps member in Nashville, Tennessee with an after-school program for middle school students. That opportunity led to working for The Center for Refugees and Immigrants of Tennessee (CRIT), where I was a Site Coordinator for one of its after-school programs for middle school students. Later, I was promoted to being the Associate Director of all of CRIT’s after-school programs. Around that time, I became interested in going to law school to be an attorney. CRIT had an immigration attorney, and the work the attorney did stuck out to me. He helped immigrants, who were already positively impacting the Nashville community, establish residence in this country after suffering traumatic situations in their home countries. Before going to law school, I also shadowed public defenders. One day I went back in the county jail and met a young girl, about 15 years old, who was charged with making meth with a male about 20 years old. She struck me as a girl who may have made a bad choice as to who she became friends with but if given the opportunity she would make better choices. I am excited about the work I will do this summer with Alabama Appleseed. The major project I will be working on is to set the groundwork for a heir property project to help individuals gain clear title to their land. Heir property is property that automatically goes to a deceased person’s heirs when the deceased person did not provide for the ownership of the property in a will. Although there might be numerous heirs to a property, often only one heir is using the property. In fact, many of the heirs are probably not aware of their interest in the property. The main issue with heir property is that the property cannot be used in a way as it could with clear title. For example, the property cannot be leased or financed without the consent of all the heirs to the property. In addition, the heir property owner using the land can be forced to leave if others with an interest in the property bring a judicial partition action. This often happens when the heirs who are not using the land sell their interest to a non-family member. Resolving heir property issues is particularly difficult for people who do not have access to legal assistance. Alabama Appleseed’s goal is to create resources that will help volunteer attorneys and law students navigate the hurdles individuals face when seeking clear title to their land. Other projects I look forward to working on this summer include researching barriers to justice and policies that feed Alabama’s school-to-prison pipeline. I am very excited to be working on these projects because I know it will make a difference in the lives of individuals finding themselves in the juvenile and criminal justice systems. I chose to intern with Alabama Appleseed because the organization is effective at advocating for just policy for Alabama residents. I look forward to furthering Appleseed’s work this summer! Montgomery, AL – On May 23, Alabama Appleseed, joined by the National Appleseed and seven additional state Appleseed Centers, submitted a letter to the Consumer Financial Protection Bureau (“CFPB”) in response to an opportunity for public comment on 12 CFR 1005 Subpart B, the “Remittance Rule.” A derivative of the Dodd-Frank Wall Street Reform and Consumer Protections Act of 2010, the Remittance Rule specifically and importantly deals with consumer remittance disclosures and related consumer protections. In the letter, accessible here, Appleseed strongly recommends retention of the Remittance Rule with specific recommendations to further study the impact of these regulations so that consumers have access to critical information, that disclosures are clear, and that protections are meaningful. The legislature voted to make Alabama’s death penalty process even less reliable … Now it’s up to the Governor to stand up for justice! Eight times since 1976 the state of Alabama has sent a person to death row and gotten it wrong. One of those exonerees, Anthony Ray Hinton, spent almost 30 years on Alabama’s death row before his volunteer lawyers were able to show that the government relied on flawed evidence – that he was innocent. Mr. Hinton’s case shows that it can take years to uncover evidence of innocence. Despite this knowledge, last week the Alabama legislature voted to “streamline” Alabama’s death penalty process. As Mr. Hinton wrote last month, had SB 187 been in place while he sat on death row, he would likely have been executed despite his innocence. Regardless of where each of us stand on the death penalty, opposition to this legislation should be universal. In the United States, the importance of ensuring a fair and accurate death penalty process should be non-negotiable. Unfortunately, Alabama legislators disagreed. Proponents of this legislation, including Alabama’s new Attorney General, are using one of the oldest tricks in the book to gain support . . . fear. In a recent op ed by Attorney General Marshall, he began by retelling the gruesome facts surrounding a 37 year-old murder. In General Marshall’s death penalty narrative, the government always convicts the right person. It’s a perfect justice system (found in the fiction aisle). According to the Attorney General’s logic, if the facts are gruesome then justice must be swift, regardless of those pesky innocence issue. Fail to ensure the appointment of qualified counsel at the post-conviction stage, thus compounding the issues surrounding ineffective assistance of counsel that already plague the trial and direct appeal stages. While the facts surrounding a murder may be gruesome, they are reiterated to distract us – to make us forget what the legislation before us would actually do, which is to prioritize rushing to an execution over ensuring the accuracy of the conviction. The impact of SB 187 is clear – it would make it more difficult for an innocent person to prove their innocence. And, as Jennifer Thompson from Healing Justice pointed out, when an innocent person sits in prison, the actual guilty person remains free to commit additional crimes. The awesome power of the government to kill in our name must be based on a fair and accurate process. SB 187 would do the opposite. We urge Governor Ivey to veto this legislation. http://www.alabamaappleseed.org/wp-content/uploads/2018/08/Logo-PNG-300x54.png 0 0 ALSeed@dmin2 http://www.alabamaappleseed.org/wp-content/uploads/2018/08/Logo-PNG-300x54.png ALSeed@dmin22017-05-21 18:15:492018-01-15 13:53:46The legislature voted to make Alabama’s death penalty process even less reliable … Now it’s up to the Governor to stand up for justice! Montgomery, AL – The following statement is by Frank Knaack, executive director of Alabama Appleseed, regarding SB 187. SB 187 will now go to Governor Kay Ivey. For additional information regarding SB 187, please read Alabama Appleseed’s fact sheet. For additional information regarding SB 187, please read Alabama Appleseed’s fact sheet. Montgomery, AL – Alabama Appleseed today applauded the Alabama Senate’s vote to “ban the box” (SB 200) on state employment applications. According to the U.S. Department of Justice (DOJ), more than 650,000 individuals are released from prison every year. The DOJ has identified three key elements to successful re-entry into our communities, one of which is finding and keeping a job. SB 200 now moves to the House. For additional information regarding SB 200, please read Alabama Appleseed’s fact sheet.